God's voice whispers through the words of the prophet, Isaiah, "I make known the end from the beginning, from ancient times, what is still to come." Are we to believe that God makes known the end from the beginning? Or, should we believe that the day and the hour are unknowable? In truth, these seemingly contradictory verses in Scripture are equally believable when time is viewed on two different clocks. To date, however, humankind has relied solely on the 24-hour clock that secured residence within the human mind more than 8,000 years ago. Humanity's one-clock perspective of time is entirely useless in determining spiritual beginnings and endings. Yet, a different perspective emerges from the text of Genesis 1 which does, in fact, make known the end from the beginning. 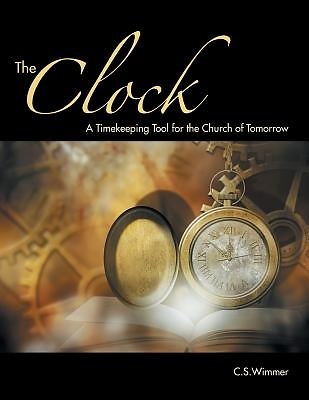 The Clock, revealed within the pages of this book, will help the human spirit develop a healthy theology of time-and not a moment too soon Through the lens of light, color, and image, The Clock's colorful face revisits the past, identifies the present, and makes known the future while orienting the human mind on its journey through time. If Jews and Christians desire additional insight into our shared spiritual beginnings, we must discover The Clock in Genesis 1 and embrace a two-clock perspective of time. Once aware of a second timekeeping option, the mystery surrounding many end-times scenarios will be removed-enabling us to travel together with confidence into our projected future.